Roses are red, Violets are blue and these are a few of my favourite things…..rings a bell? Ofcourse it does 🙂 Accessories, the most happening throught out the fashion globe and they are getting bigger and better as we breathe. 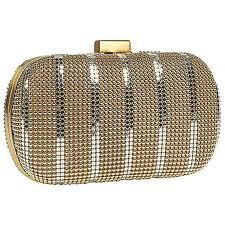 Clutches, Shades and Jewellery not in any order have become so close to women, that no outfit is complete without them. Basic clothing with chic accessories can completey re-vamp your look from a girl next door to a fashion diva. Cluthches are designed to help women hold their necessities like phone, credit cards and lip gloss for a daytime event or an evening out. From art auctions to birthday bashes, there is no end in spotting women with clutches.They are preferred to be worn on any outfit and can look snazzy when carried in one hand. Some of them have detachable chains or straps so they can be worn on the shoulder.They come in different shapes and sizes. Whether it’s a box shaped or triangular, satin smooth or covered in beads and sequins, these small accessories are available in a various different styles and personalize any outfit by adding the right amount of glam. My picks would be a Botegga Knot and snake skin Chanel. For all the teeny boppers, who are still in school and cant afford the big labels can stick to Vince Camuto or Ivanka Trump for their designs. Sunglasses come in all kinds of shapes and colors. Tinted shades are what’s hot this season, but so are aviators, wayfarers, rimless shades, oversized frames,tea shades and plenty of other styles. You can get as hip as you can by avoiding the sun and staying fashionable.This season is all about glamour, and a good pair of sunglasses is sure to add class to any outfit. Polarized or non-polarized, sunglasses may protect your eye’s from the sun’s harmful UV rays, but they’re also trendy ways to add extra kick to your look. 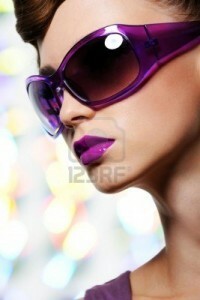 Christian Dior, Gucci and Versace shades are a big hit for their unique frames and shapes. Whether its an afternoon brunch or a casual day at the gollf course, sunglasses are meant to be flaunted. You can go as bold as you wish with the colors and sizes and don’t be shy about it. All the hotties and happening folk dont step out without a pair of these. Jewellery is one accessory thats very close to a woman’s heart. It completes her wardrobe and adds that perfect touch of traidition and class. Whether they’re heavy chokers, kundan sets or big,chunky diamond earrings, wear what you desire and be sure that it cant go wrong. Take a look at all the indian jewellry which is carryied off with immense poise and elegance. There’s nothing that makes a woman feel more powerful than a string of diamonds! And nothing makes a woman look more in charge than sporting a few of these precious stones. 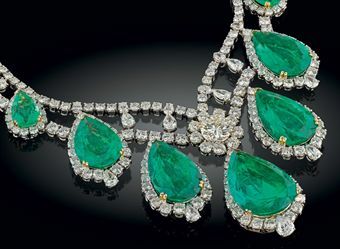 From Tiffany’s to Harry Winston, ladies cant resist the urge to splurge on diamonds while some of them let the men in their lives do the honors. Some of the classic ethnic jewellery with great class are traditional gold necklace with a precious ruby gemstone pendant. Nakashi art long neckpiece with pearls and uncut diamonds. Ruby, diamond and pearl choker with intricate detailing looks outstanding and an emerald with uncut diamonds necklace is sure feast to the eyes. Black Tahitian pearls are so rare and divine, can be paired with diamonds or any other semi-precious stones on ethnic or western wear.Traditional neckpiece with black drops and matching earrings, and a heavy gold jhumkas set is a fine treasure to add to your closet. Fabbbbbb 🙂 girls best friend! Pingback: Man purses and men's scraves are going viral with most fashionable men around the globe. Pingback: Nails enhance a woman's beauty and give her hands a different look and dimension.